Please help me welcome Siren the Fire Safety Dog! 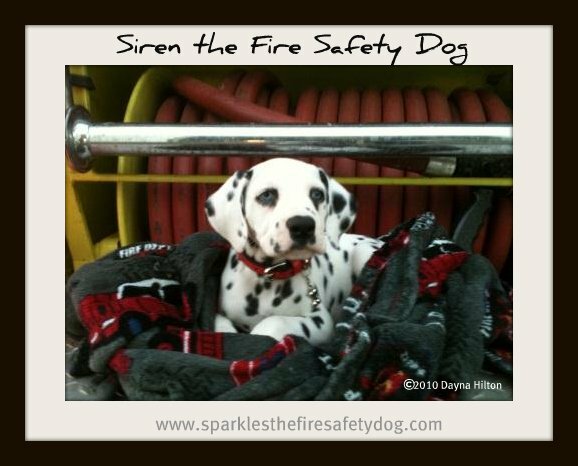 Firefighter Dayna, Tango and I are so excited that we will have a new edition to our family and fire safety team! It is so much fun having a little brother! My new little brother is two months old and he came to live with us a week ago. We have had so much fun getting to know each other! 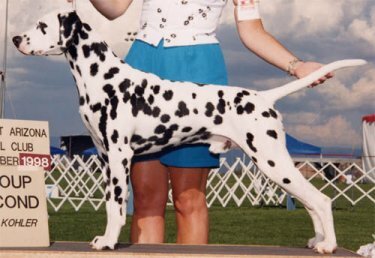 His mother is Whoopie of Dalmino Dals and Jack of NspirD Dalmatians. 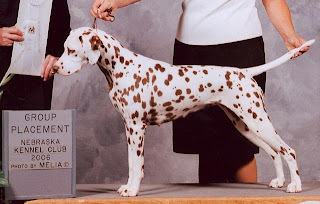 Jack is one of the top sires of Champions with 82 sons and daughters earning titles. He is the most winning Dalmatian of all time with 427 wins. 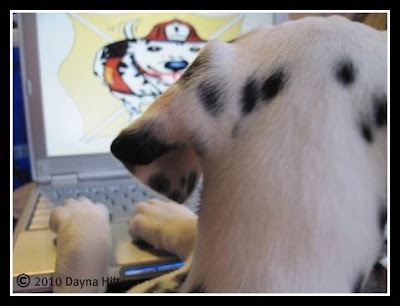 The first thing that Siren did when he got to his new home with me and Tango, was check his email. Silly dog! See more pix of the big day HERE. Siren also has a new Facebook page. Be sure to check it out! He'll also have fire safety tips on his Facebook page, just like me! Until next time, stay safe everyone!